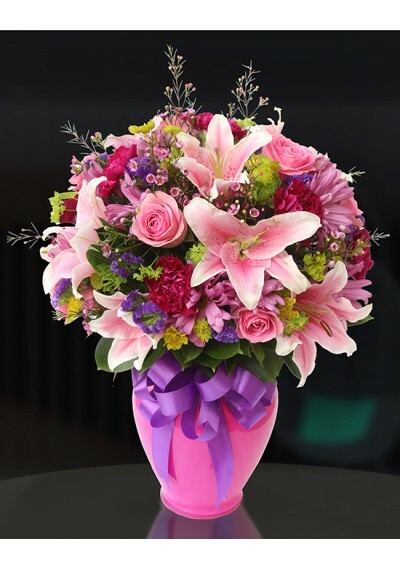 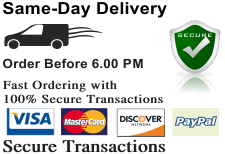 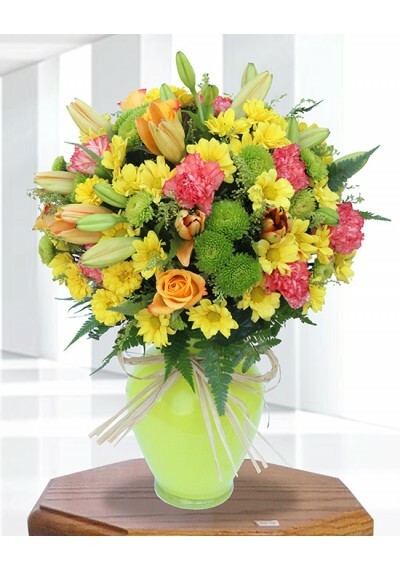 Full of happiness Bouquet is set to offer your Birthday wishes to your special recipient with shining blooming beauty! 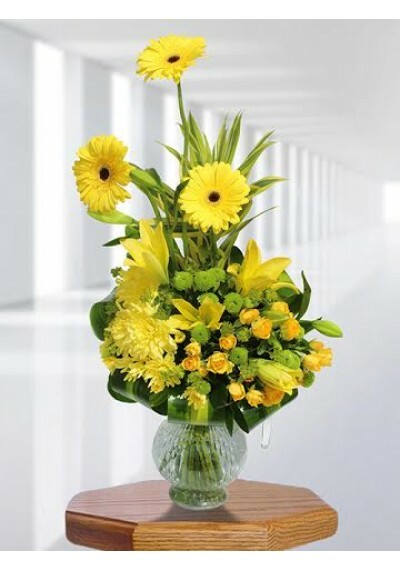 Dynamic yellow spray roses and yellow gerbera daisies are surrounded by yellow lily, and yellow & green Chrysanthemum to create an memorable flower arrangement. 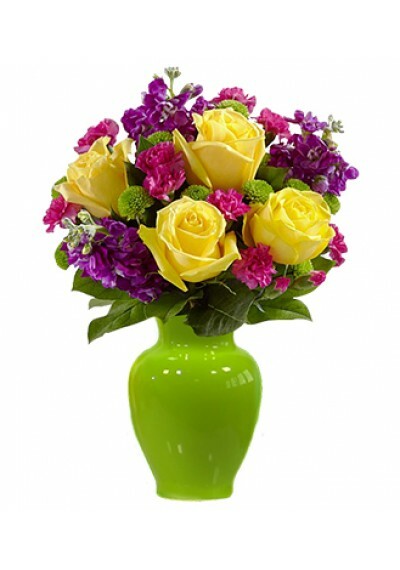 Presented in a designer glass vase. 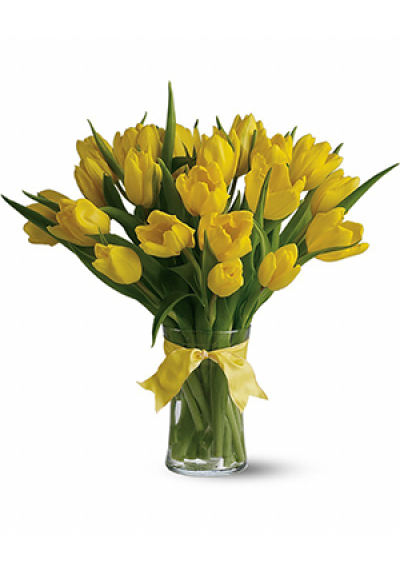 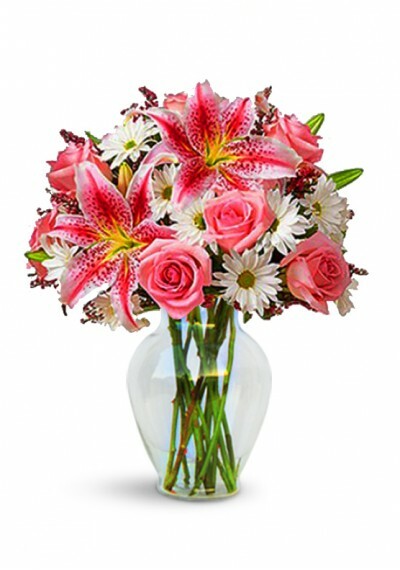 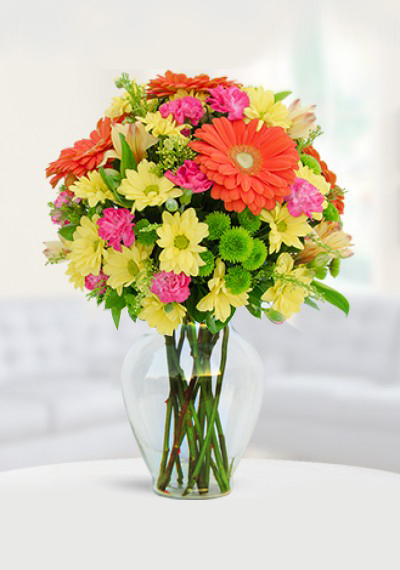 This flower bouquet will be the perfect gift to send in honor of a graduation, birthday, a new job or promotion, or any of life's special moments. 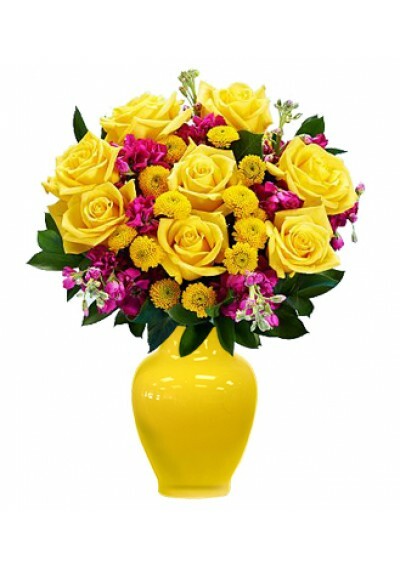 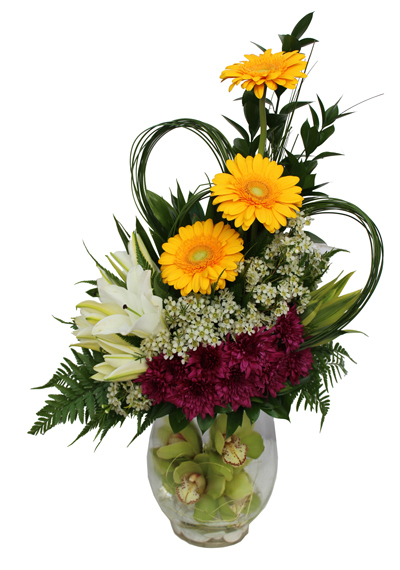 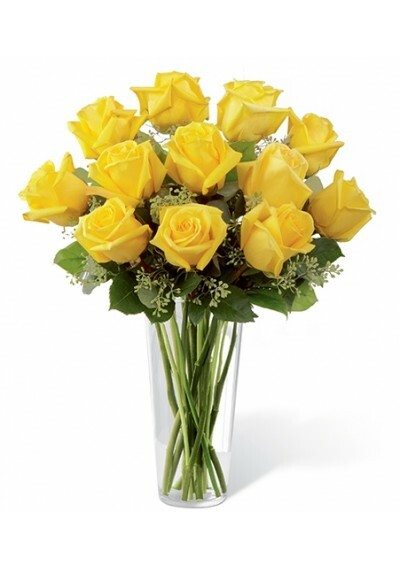 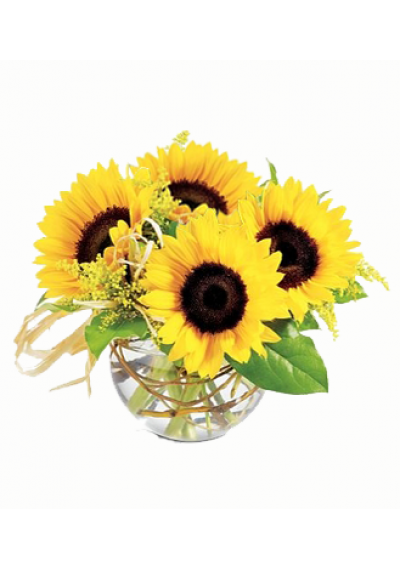 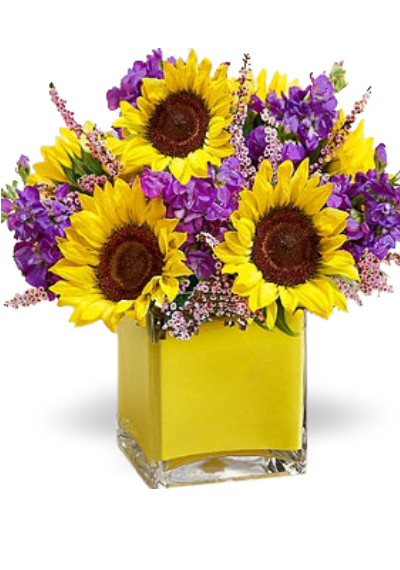 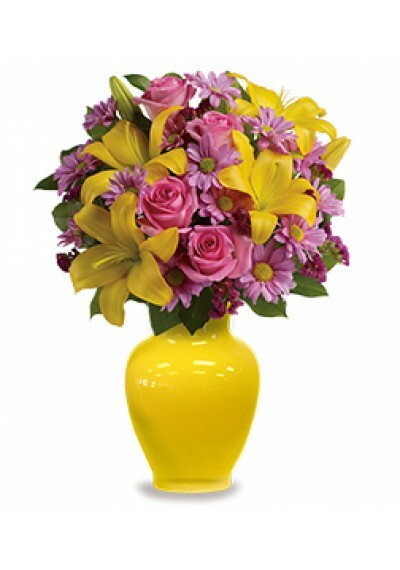 AED 299.75	4 Yellow Lily, 10 Yellow Spray Rose, 3 Yellow Gerbera, 10 Yellow Chrysanthemum.